Senior Guides were first set up in 1917, to deal partly with those girls who were over 16 and wanted to join Guiding but would have been uncomfortable starting to work for their tenderfoot among the younger girls - but mainly to deal with the problem of girls who were reaching 16 and 17, had completed their badges and awards, and were outgrowing Guides - but didn't want to leave! 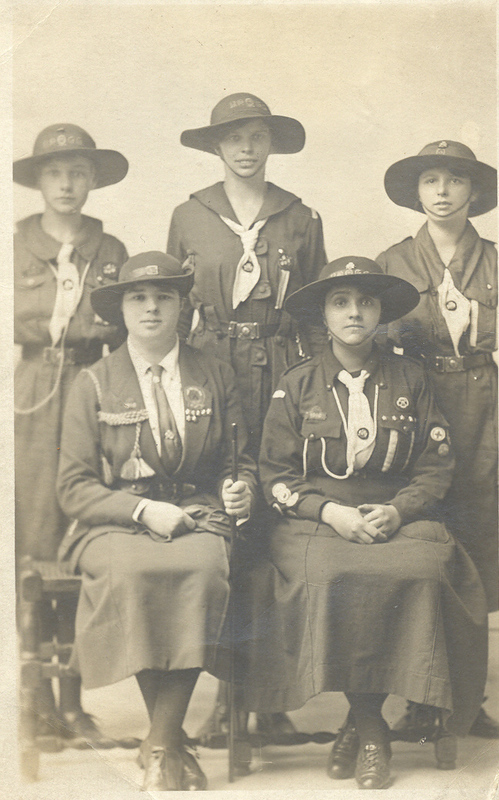 However, it wasn't until 1918 that the 'Scheme for Senior Guides' was published. The initial plan was to allow both for "Senior Patrols" of 8 under a Patrol Leader to run within existing units, or a Company of three or more Patrols under a Captain. 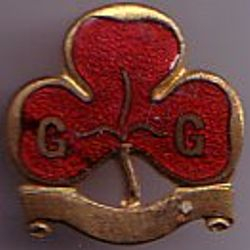 Their uniform would be the same as the Guide uniform, other than the red enamelled Promise badge, and the red embroidered badge on the hat band rather than gold. 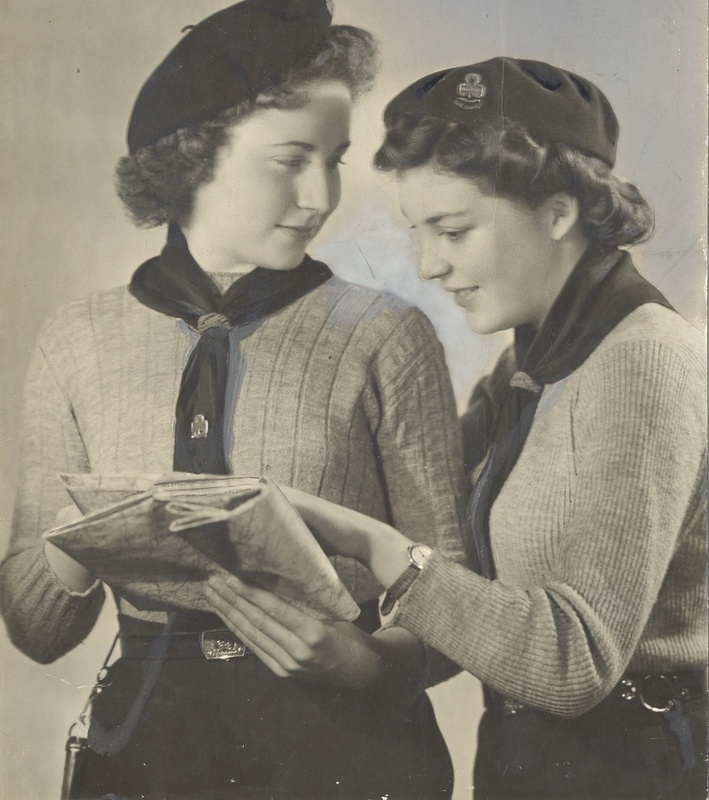 The plan was that each Senior Guide Patrol would choose to specialise in a particular form of public service work, and work at it as a squad - suggestions including becoming Hospital Ward Maids, Women Police Assistants, Creche Workers and the like. 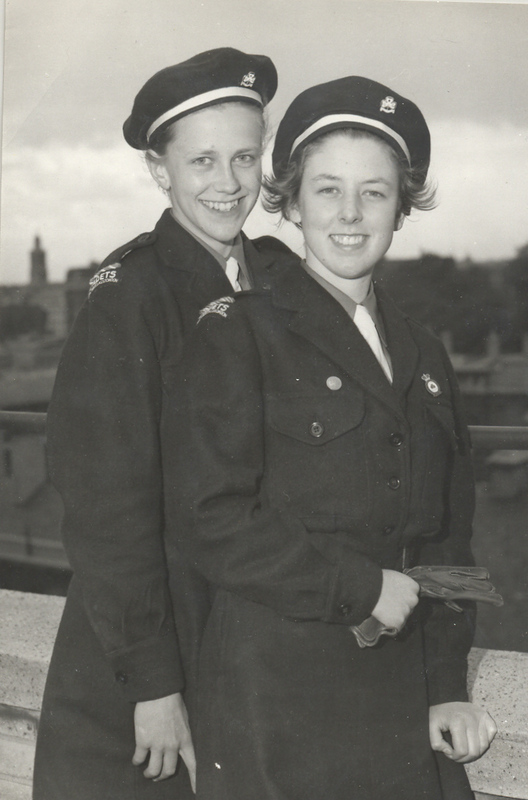 They were also encouraged to be sports teams and to pursue hobbies as a Patrol such as dancing, cycling, sketching, etc, and to work for specialist badges together as a 'Study Circle'. 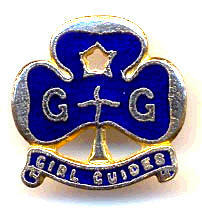 At that time there was no upper age limit for Senior Guides, and some were aged 30 or more . . . 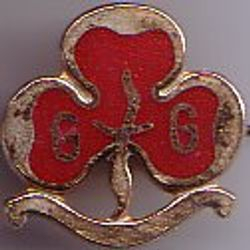 Soon there was a desire to seek a distinct identity for the group, and to separate them off from the Guide units from which they had grown - to thus to give the Guides of 14 and 15 their fair turn of being Patrol Leaders without the pressure of having their former PLs still around, and also to keep the age ranges of the girls in each Guide Company realistic for the Guider to manage. Many names were suggested before 'Rangers' was chosen in 1920, as a name that reflected the desire for the section to range wide and explore over a larger area than the younger sections could - intelectually as well as physically or geographically, although all three of these were equally encouraged. 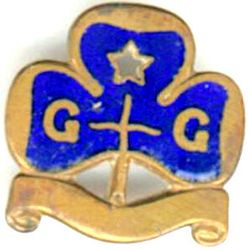 The initial uniform was the same as for Guides other than Promise badge and hat badge, and their interest badges had red embroidery too, initially just in the surround in the case of the early white felt badges, and later throughout on the navy badges, as with the early thrift and later cook badges shown - many Guides continued to wear their existing Guide uniforms, and simply added their Ranger badges onto it alongside their Guide badges. Their Ranger Service Stars had red felt discs to match, where the Guide felt discs were green. 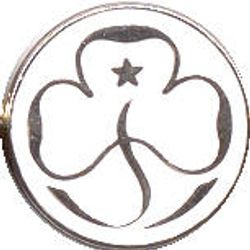 There was a growing range of Ranger Interest Badges introduced, both in similar topics to Guides, and also in more advanced topics such as citizenship. Trade badges were also available, to reflect the range of employment available to girls of the era (at that time, working class girls would usually have left school at 14, so would generally be well established in a trade before they joined Rangers at 16). 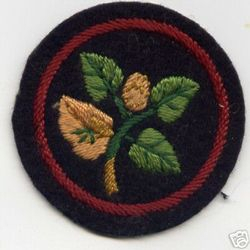 Initially, according to the 1918 handbook, it appears that these were provided in different colours for different topics - they are listed there as being red for nursing service, purple for arts and crafts, yellow for professional, brown for manufacturer, black and white for commercial, blue for housework and green for outdoor work, and in the form of a coloured badge worn round the arm - with a further badge featuring a crown to be added if a higher grade examination from technical school or college in the relevant topic was gained. I have not seen pictures or examples of these. 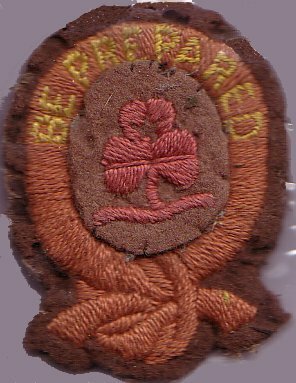 They were later replaced by a selection of trade badges covering similar topics, all stitched in red embroidery, in the same style as the Ranger interest badges but of a significantly larger size. 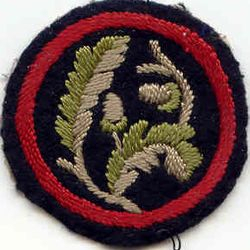 As well as interest badges, they could work for the Second and First Class awards following the Guide syllabus, if they had not already gained these as Guides - again, the badge was the same as for Guides, but embroidered in red thread rather than green, as shown here. Those who had been Guides and so already held these badges worked on Ranger Test, then on Ranger Service Star. 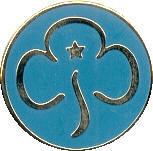 After that there were specialist Ranger Certificates to work on, as Rangers were expected to specialise in a particular subject - the options were Home Service, Nursing Service, Child Service, Community Service, Coast and River Service, Outdoor Service or World Service - and use their skills in these areas to serve others in the community - there were red enamelled bar badges which could be earned for each topic. Rangers still had Patrols, and Patrol Leaders and Seconds at this stage - whereas Guide Patrols were either birds or flowers (unless they chose to make up different names and design their own badges), Ranger Patrols were trees. Five Patrol names were introduced in 1922, with a further three options being added in 1928 - they are listed below with their appropriate shoulder-flash colours. 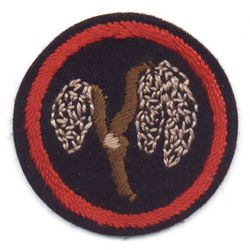 Ranger Patrols were dropped sometime around 1941, and it appears that the Ranger Interest Badges were dropped at around the same time for certificates, probably because there was a desire for Rangers to focus on new war-related challenges such as the Home Emergency Service (HES) armlet and National Service work. In spite of this the Ranger programme itself was still challenging and involved, with work on the Ranger Star award being introduced. 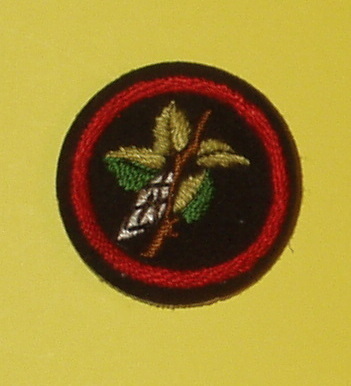 The Patrol Badge shown below is Birch. 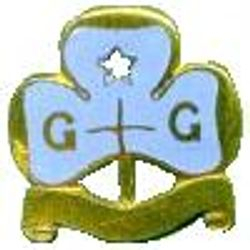 Cadets started in 1916, as a section f or older Guides who wished to train towards becoming Guiders in due course. Initially, they were based at establishments like major girls' boarding schools and training colleges, so wouldn't have been available around the country, and there was the option of either having a Patrol of Cadets, or a unit of two or more Patrols. 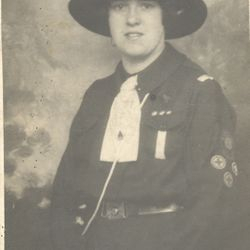 Initially uniform was either the gym tunic of the school in the case of school and college Cadets, or the regular Guide uniform worn with a white hatband, for others, as shown on the left - in 1930 a white Hat Badge, in the same style as for Guides and Rangers was introduced instead. The Cadets undertook a detailed and thorough two-year course of training, partly theoretical and partly working with a range of different units in the area to pick up practical experience - those who did not make the grade could be asked to leave at any point during the course! 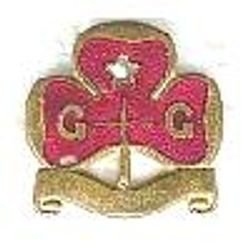 On leaving the Cadet Company, a completion certificate would be forwarded to the Commissioner in the girl's home area, so that she could be appointed to a unit without delay, and she was expected "on a point of honour" to help the Guide movement on leaving school. 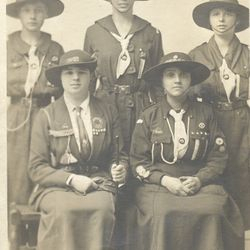 Before long the value of Cadet Companies outwith the small number of boarding schools and colleges was realised, and County Cadet Companies started to be formed in many areas, with cadets mainly working each week with a particular local Brownie Pack or Guide Company, occasionally meeting up with their counterparts at County Cadet gatherings and trainings. 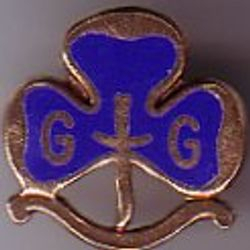 Because they spent most of their time working alone in their Brownie or Guide unit, the County Cadet units did not have active Patrols as those at Training Colleges did, nor did they have specific interest badges - although they could work for awards such as Queen's Guide, other badges were not open to them, as they were teaching the skills to others rather than learning them for themselves. 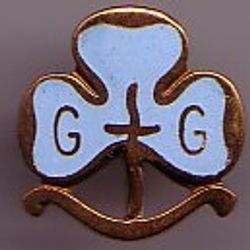 It is because of the 1916 starting date for Cadets, and 1917 for Senior Guides/Rangers, that there has been much confusion ever since over when Senior Section anniversaries should be celebrated - should they count from Senior Guides in 1917 (as they did prior to 1991) or from Cadets in 1916 (as they have counted since 1991)?! 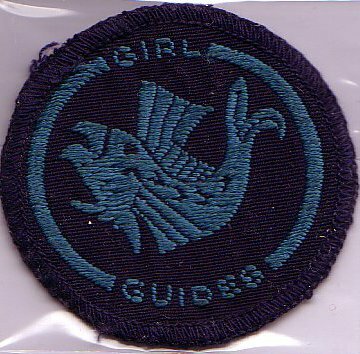 Sea Guides, (later merged with Sea Rangers) were started in 1920, for those older girls who had a maritime background, or a love of the sea. 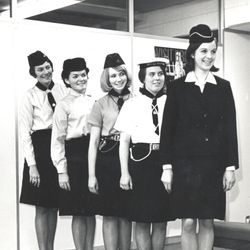 They had a different, nautical uniform of a navy jersey and skirt with a bucket-type hat (which had a white linen cover in summer) with black ties,and separate 'working rig' options for use when doing 'boat work' such as the white top with navy collar trim, worn with skirt, shorts or trousers - and each member had to make her own white lanyard, from Plater's Cord using fancy knotting. Sea Rangers were a 'Crew', rather than a 'Company' and by 1923 the custom was established whereby each Crew adopted a ship, took it's name, studied it and followed the activities and voyages of the ship. The publication of the "Sea Guides" pamphlet in 1924 helped regularise programmes. As well as doing actual sailing and rowing, (and a good deal of maintenance work if the crew were fortunate enough to own their own craft) there was swimming, knotting, ship drills, shanty singing, practical handicrafts and other nautical skills, and learning about different types of ancient and modern ships, ports, cargos and routes, they also still tackled the same challenges and awards as regular Rangers did - instead of doing the general Ranger Service Certificates they ta ckled the AB Test. Initially they had Patrols, with the suggestion being that they take the names of Sea Birds for their Patrols and embroider their own Patrol badges, but soon that was changed so that instead each crew was split into two groups, as Port and Starboard watches, again to follow the naval tradition. Although initially they used the same sort of unit flag as Land Rangers did, by the late 1930s there was scope for Sea Ranger units to design their own Burgee flag, using appropriate symbolism, provided the design was approved by the flag authorities. The glamorous uniform and the exciting activities were a great attraction, and numbers soon expanded, with Crews opening up wherever there was a suitable lake, river, canal or stretch of sea to tackle water-borne activities - the fundraising to get some sort of boat of their own soon followed! Once crews were established, they could apply for Royal Navy Recognition - a rigourous annual examination of their skills and training. Just as w ith the Guide Section, so Lones were available to Rangers - so yes, there were (and nowadays there still are) such things as Lone Rangers! They were available as Land or Sea Rangers (Lone Air Rangers and Lone Cadets may have existed though I haven't found any trace yet). Their programme was adapted slightly as they were isolated from their fellow Patrol members, so they tended to focus specifically on their Community Service specialisms. 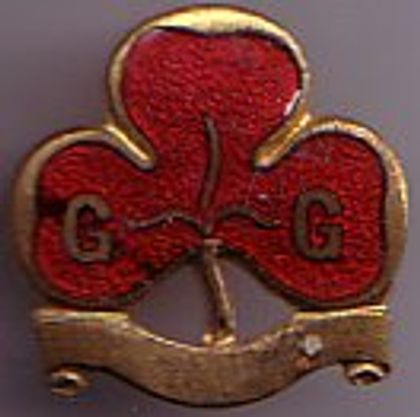 Their Promise Badge featured a large L in red enamel. (Lone Rangers still exist, nowadays generally those who live in rural areas where there isn't a unit within range, or where meeting nights don't suit, or for those in universities which do not have a SSAGO). The big challenge (and expansion) for Rangers came with World War 2. 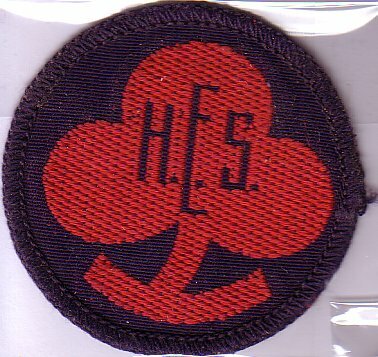 Many of the older Rangers were called up for war work; from 1940 there was the option of working for the 'Home Emergency Service' armlet and badge - a stern test that involved learning major emergency first aid, how to deal with incendiary bombs, self-control, preparedness for eventualities, blitz cooking and other relevant skills for the home front. Rangers were involved in all sorts of war service, including in hospitals - from starting with minor tasks like vase washing and sluice room work, many progressed to much more responsible roles such as issuing medicines and giving injections, as they proved their trustworthiness, reliability and capabilities. Others taught in primary schools, ran after-school clubs for children whose mothers were doing war work, and served as canteen staff in mobile canteens and rest centres, often in extremely remote or dangerous areas. Rangers trained as decontamination squads in case of poison gas, and many worked in council offices and aid depots, particularly during school holidays, to free up the professional staff for war service. 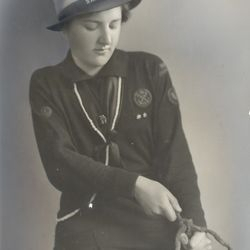 Following a government request, in 1941 the minimum age for Rangers was lowered from 16 to 14, so more girls could get Ranger training before their turn came to be conscripted for war work in the forces, in factories, or in farming and forestry, as the value of the Ranger training programmes was recognised. 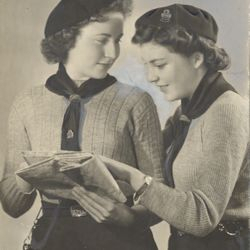 In 1942, due to clothes rationing the Ranger uniform was simplified - the uniform dresses and formal skirt suits gave way to knitted jumpers, to be worn with navy skirts, which were much more hardwearing and practical as well as being economical with the scarce clothing coupons, as the jumpers could be handknitted with waste wool (indeed, there are tales of Rangers collecting together darning wool, which was off-coupon, and knotting together enough lengths of it to knit a jumper!). 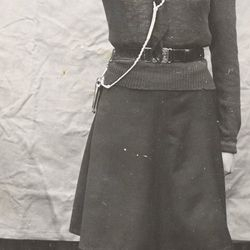 All teenage girls across the country who were below the conscription age were encouraged by the Government to take up national service of some sort such as becoming Rangers, which led to a massive increase in membership, and exacerbated the the uniform shortages! 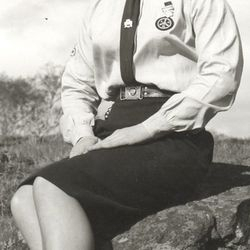 Rangers in the women's services could wear an 'armlet', under their uniform, to enable fellow Guides to identify each other (though these don't seem to have been as frequently used as were the equivalent Scout ones) - many Guides opting to keep their Promise badge pinned on the underside of their military uniform's lapel instead. 1942 was also the first time an upper age limit for Rangers was set, at 21. (Prior to this, there was no upper limit, and Rangers as old as 73 had been recorded . . .) In 1943, special entry to the women's services was introduced for Rangers, in recognition of the preparatory training they received in their units. 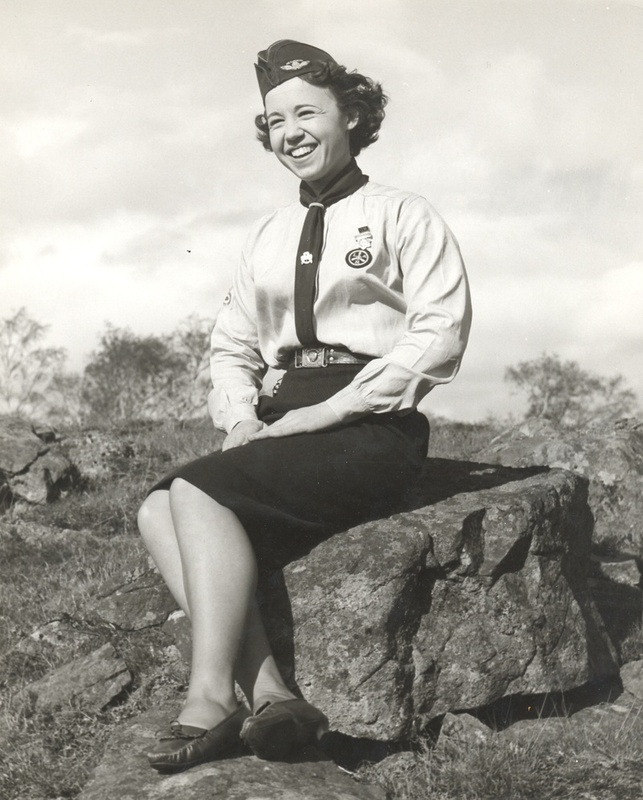 In 1945, 'Air Rangers' began, perhaps taking inspiration from Agnes Baden-Powell's flying and ballooning exploits, although numbers were never very high - the Guiders tended to be former members of the Women's Auxiliary Air Force Service (WAAFS), as they had the knowledge to introduce interesting air-related activities and air force atmosphere. The Air Rangers built model aeroplanes, and sometimes got the opportunity to go gliding or ballooning, though facilities for this were often hard to come by - most units were attached to local aerodromes, and developed close links to them. Model plane making was popular and they also studied meteorology, navigation and mapwork, as well as ground crew skills. By this time, the mainstream Rangers were known as 'Land Rangers', to distinguish them from the Air and Sea Ranger branches. All Rangers worked for 'service stars' with Air Rangers then tackling the Leading Air Ranger Test, Sea Rangers the AB Test, and Land Rangers one of the Specialist Certificates - and Rangers enjoyed more adventurous activities than were available to Guides, sometimes jointly with Scouts as joint activities started to proliferate. Ranger/Cadet uniform now featured 'battledress' jackets with 'forage caps' replacing the berets as rationing slackened it's grip - although these were sometimes still homemade, or dyed ex-army uniform acquired for a good price from the local army surplus shop, especially in the immediate post-World War 2 period when rationing continued. 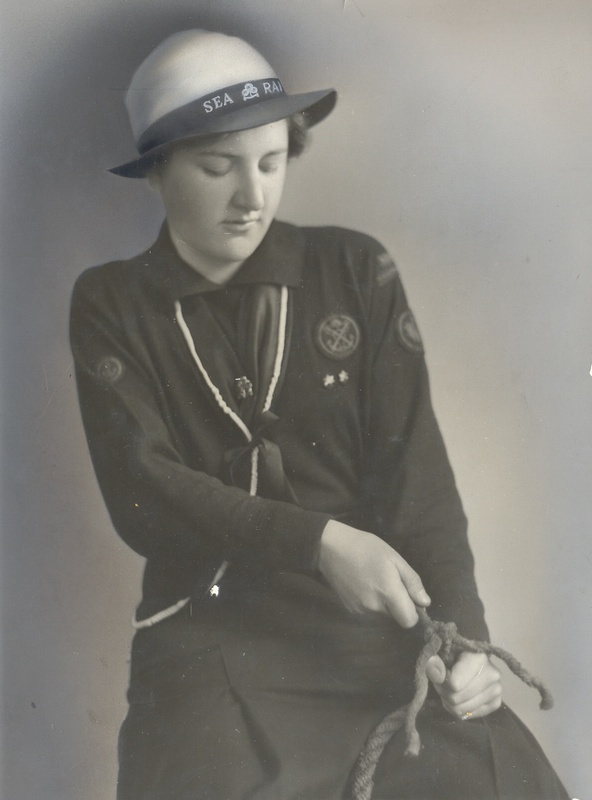 So 1946 brought new uniform options, of navy 'battledress' jackets and skirts, with white shirts, black ties and WRNS-style hats for Sea Rangers; pale blue shirts and hat badges for Air Rangers. 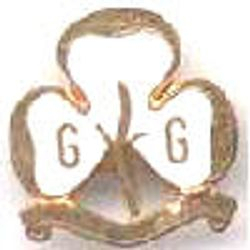 Cadets wore the Guider uniform, but with white tie, badge and hatband. 1947 saw the first publication of the magazine "The Ranger" (prior to this, pages for Rangers had featured within "The Guide") - it continued in various guises until 1974, when production ceased - thereafter Rangers had occasional pages in "The Guider". 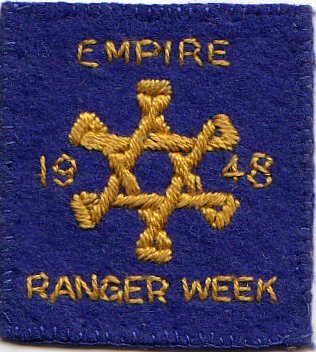 1948 saw celebrations for "Empire Ranger Week" being held, with events around the country and a special badge being produced. 1. Study the Law and Promise from a Ranger point of view. Know the origin and development of the movement. 2. Know the symbolism and significance of the Union Jack, the flag of her own Country, the Guide World Flag, and be able to hoist them. 3. Treat for shock and show simple methods of stopping bleeding. 4. Wear her uniform correctly and smartly. Take her place in squad drill. 5. Plan and carry out a day's expedition with a definite objective, taking a friend with her, and keeping a brief log. Additional for Sea Rangers - Swim 50 yards. 1. Collect and keep in readiness a complete set of personal equipment which she can pack with 24 hours notice in a neat and practical way, serviceable for expeditions in any weather. 2. In parties of two or more, using this equipment, go for a weekend camp or overnight hike (see P.O.R. Rule 81). Be able to use a map in planning such expeditions. 1. Visit a house or flat and bring back a sufficiently clear description of it so that the intending occupier would be able to know if it was likely to be suitable. Note general layout, size of rooms, their aspect; heating, lighting and cooking facilities, water system etc. Also garden or yard. 2. Find out in her own area where children can be treated for minor ailments; where mothers can be advised in infant welfare; who is responsible for providing a pure milk supply, sanitation, water, gas and electricity supplies; who pays for these services and from what source the money comes. 3. Choose a country overseas and be able to interest other people in what she has found out about it. 1. Cook, serve and clear away a well-balanced two-course meal. 2. Bring a statement, signed by a competent person, saying that she has bathed, changed and dressed a baby under two years old. Must show that she realises the necessity for discipline, routine, cleanliness and understanding when dealing with young children. 3. Study design and colour in relation to dress and interior decoration. Make either a personal garment or an article of household furnishing or decorate a room. a) Keep a list of what she has read over a period of six months. This should include three first-class books, modern or classical, poetry or prose. b) Compare the merits of three full-length plays, films or ballets, seen during the period of preparation for the test; the choice to be as varied as possible. c) Visit an art gallery and discuss three selected pictures. d) Know the fundementals of three different types of architecture and be able to compare them. e) Become familiar with three musical masterpieces (by concerts, gramophone or broadcasting) and be able to give reasons for her choice. f) Introduce three folk tunes (songs or dances) new to the company, and be able to teach them. 2. Be able to deal with the following: severe bleeding, asphyxiation (including electrical shock), fractures (for prevention of further injury), wounds and burns. 3. Be able to take clear messages and give precise directions to strangers in her own neighbourhood. Before completing the Ranger Service Star a Ranger should have read the Ranger Health Book "How to be Healthy - and Wise" and show that she has made an effort to improve her health and appearance. In 1955 a new 'forage-style' hat was introduced for Land Rangers, based on hats worn abroad. In 1959 a uniform suit replaced the battledress jackets for all sections. And in 1959, Land Rangers, Cadets, Sea Rangers and Air Rangers were all brought together to form the loose grouping of "Senior Branch". In 1967 Land Rangers, Cadets, Air Rangers and Sea Rangers were all were amalgamed together into the unified 'Ranger Guide Service Section', and all now followed a general programme, rather than specialising as they had previously done, with no Patrols. (The photograph on the right shows respectively Land Ranger, Cadet, Air Ranger, Sea Ranger and Ranger Guide). This basically saw the end of specialisation, as all 14-18 year olds were now Rangers, following a general programme. Senior Section at this time was aged from 14 - 18. 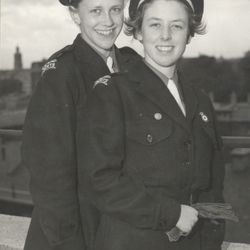 A new joint uniform was also brought in, with an aquamarine open-collared blouse which was teamed with the navy a-line crimplene skirt or pinafore dress, and a crimplene suit jacket. 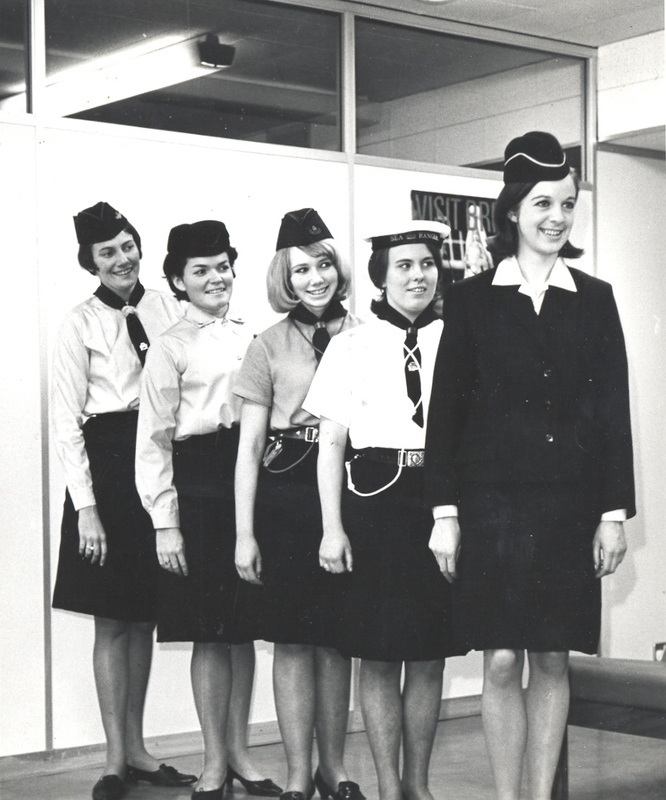 This was worn with a navy 'air hostess' hat with aqua piping. Although some breakaway groups were formed (particularly for Sea Rangers, where a breakaway independent Sea Ranger movement still exists), most members accepted the changes, albeit extremely reluctantly, and the generous transition period may have helped with this. Now, the only way to train for Leadership in Guiding at that age group was to complete the Young Leader Scheme whilst being an active member of a Ranger Unit. Clearly, this must have caused issues, for in 1973, the amalgamation was reversed a little, the Young Leader Section was reintroduced, allowing the separate option of being a Young Leader rather than a Ranger once again. The new Young Leader Promise badge had white enamel - the traditional colour for Cadets! Although girls could become Rangers at 14, they couldn't become Young Leaders until they were 15. So from 1973 some girls were both Rangers and Young Leaders, and some were either one or the other. Soon another opportunity arrived in the form of the Duke of Edinburgh Awards. Many Rangers took on the challenge, and gained their Bronze, Silver and Gold Awards through Guiding. 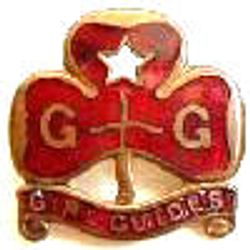 In 1973 the "Ranger Guide Service Section" became simply "Ranger Guides". 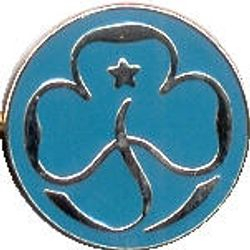 In the same year, the Link international fellowship was established by Trefoil Guild, to cater for former Rangers and Venture Scouts aged 18-30 (it closed in 2008 and was merged back into Trefoil Guild). It was also in this year that the Air and Sea Ranger sections were finally abolished. (A breakaway independent Sea Ranger organisation was formed, and still runs in some areas). In 1977 the Rangers celebrated their Diamond Jubilee with all sorts of special camps and events spread across the UK. In 1980 the association's Junior Council was formed, to give members aged 16-26 a voice. From this root, regional councils and forums have grown. 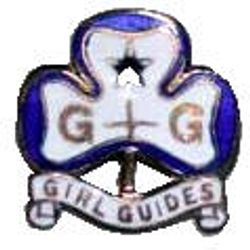 I n 1983 the Queen's Guide Award was moved to the Senior Section age group, offering another opportunity for challenge - it had previously been a Guide award. Shortly afterwards the Commonwealth Award was introduced throughout all the Commonwealth Countries, for girls aged from 13 upwards too. 1990 brought new mix-and-match uniforms, as with other sections. The growth of the Junior Council and similar groups meant that the opinions of Senior Section members held more sway than ever before. 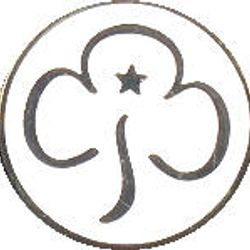 Upper age limits for the sections were amended, so now Rangers could stay on until they were 26 - allowing more flexibility for those at University and settling into working life, where before they had had to either become adult leaders with units, Trefoil Guild, or leave, at 18. 1991, and it was time to celebrate another Ranger anniversa ry (the celebration years of the Senior Section anniversary celebrations have long been a bit variable!). Special 'Trail '91' camps were held at the Guide training centres, with Senior Section members challenged to try and visit them all during the course of the celebration week, which saw cars, vans and trains criss-crossing the UK! A new programme, 'Look Wider' was introduced in 1994, named after a famous quote from Lord Baden Powell, "when you think you're looking wide, look wider still". The previous challenge badges were replaced with eight 'octants' on different topics, to be completed at three different levels of challenge, with a special award available for completion of two levels of all 8 of the octants. 2002 saw the introduction of the current Senior Section uniform, the hoodies were designed by Senior Section members, who oversaw all the stages of design and manufacture. 2006 brought the Ranger 90th Anniversary, with a special badge and souvenirs, and assorted celebrations. 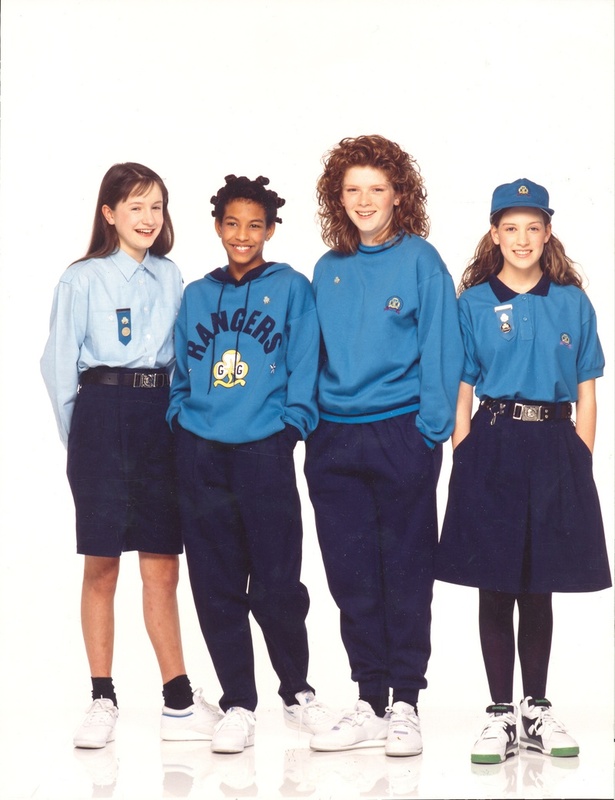 Senior Section uniform was a zip-neck top, blouse, or hoody in ice blue or grey, with their choice of skirt, shorts or trousers. 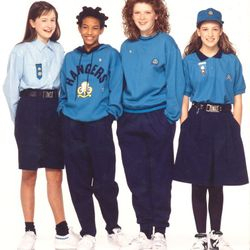 Rangers and Young Leaders had the same uniform and aqua Promise Badge, and all members of Guiding who aged 14-26 were considered to be Senior Section members, regardless of whether they were active as Rangers, Young Leaders, Guiders, Commissioners/Advisers, or Trefoil Guild. 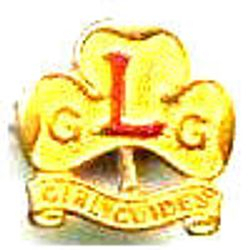 The Senior Section was based around 'Look Wider' with the programme based around eight 'Octants', with the option of gaining the Chief Guide's Challenge badge for completing two of the three phases across all eight Octants. There was also the Queen's Guide Award, Commonwealth Award, Duke of Edinburgh's award as well as many local and regional challenges. 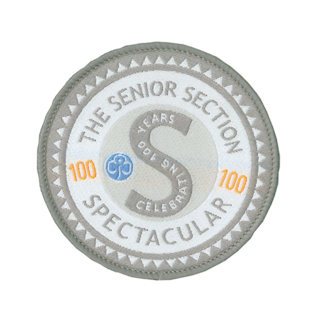 2016 brought the Senior Section's turn to celebrate a centenary, with the "Senior Section Spectacular" marking 100 years since the start of Cadets, the oldest of the Senior Section's components. A wide range of activities and events have taken place, including special trips, camps, and a challenge badge for all sections to tackle. 2017 brought piloting of new programme ideas for all sections, which will be introduced from July 2018. The controversial aspect has been the reversion of the age group to it's 1990 form, with an upper age limit of 19, and by popular demand, the restoration of the "Rangers" name despite it not being among the four options proposed - Jets, Kites, Skylarks or Voyagers were the options which were proposed and surveyed - they were comprehensively outvoted by an option which wasn't even on the table! The Ranger programme will follow on from that of the other sections with the same 6 Themes, with their Skills Builders, Unit Meeting Activities, and the reintroduction of Interest Badges for Rangers. They will have the Ranger Gold Award, as well as Queen's Guide, Commonwealth Award, and the option of Duke of Edinburgh Award too. There will also be an offering for the over-19s, details of which are to be confirmed, but which won't involve regular unit meetings or badges.